ABD Team Supports the Christopher and Dana Reeve Foundation - Avery Biomedical Devices, Inc. 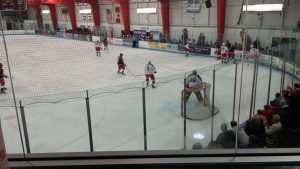 Alumni players from the Rangers, Islanders and Devils team up to play at the Boomer and Carton Mikey Strong hockey game. 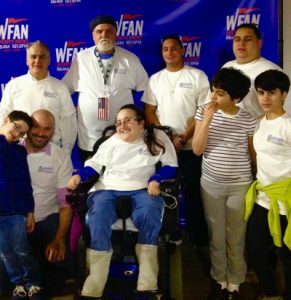 The ABD team and family’s group picture taken March 19, 2016 at the Boomer and Carton Mikey Strong hockey game. On March 19, 2016 the Avery Biomedical team attended the Boomer and Carton Mikey Strong hockey game! This very special event was to benefit the Christopher and Dana Reeve Foundation. The ABD will also be sponsoring the Christopher and Dana Reeve Foundation’s 6th Annual Spring Wine Tasting Benefit April 23rd.